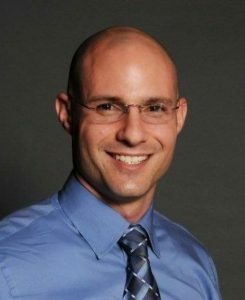 Jeffrey Segal, owner and chief operator of Balanced Personal Training, Inc., since 2004 is a personal trainer, motivational speaker and educator who has been working in the fitness industry for over 20 years. He is a graduate of Florida State University, with a Bachelor of Science in Human Sciences. At the age of 25, Jeff was diagnosed with Multiple Sclerosis. A former All-State football selection in Florida and fitness enthusiast, he found himself in a position he did not expect. He was told fitness was not going to be part of his future as an activity. Within a couple of years, Jeff was unable to walk, was visually impaired and barely able to speak. At the end of 2002, he was told by his neurologist his chances of walking again were slim. Rather than succumb to his prognosis, he fought for the life he once knew while burying his head in research. Within a year, not only could he walk, see and speak but he used his knowledge, skills and abilities to physically train others in both sickness and in health with an emphasis on Multiple Sclerosis patients. He is certified with a CSCS, NSCA-CPT and CPTS which includes Post-Rehabilitation and Special Populations Specialist title. In 2007, Jeff was awarded the National Strength and Conditioning Association’s (NSCA) Personal Trainer of the year award as well as The Fitness Institute International Personal Trainer of the Year award. He has been a presenter on the exercise recommendations for people with Multiple Sclerosis for the NSCA at both their National Conference as well as their Personal Trainers Conference. He is a former chair of the NSCA Personal Trainers SIG group and was a past Florida State director for the NSCA as well. Jeff has had articles published by various Multiple Sclerosis publications and Shape Magazine amongst others. Currently, Jeff continues to teach the section on Multiple Sclerosis at the Fitness Institute International’s Post-Rehabilitation and Special Populations Specialist course, presents on the topic of Parkinson’s disease exercise recommendations to patients. He gives educational and motivational speeches around the United States for Multiple Sclerosis patients alongside top neurologists in the field. He serves as an ambassador for the Multiple Sclerosis Foundation. His future plans are to complete an ongoing research study he is conducting on Multiple Sclerosis patients measuring both physical and psychosocial benefits of exercise by the end of 2018.